UserGuard was designed from the ground up for streamlined network access from the desktop, without compromising security or network performance. 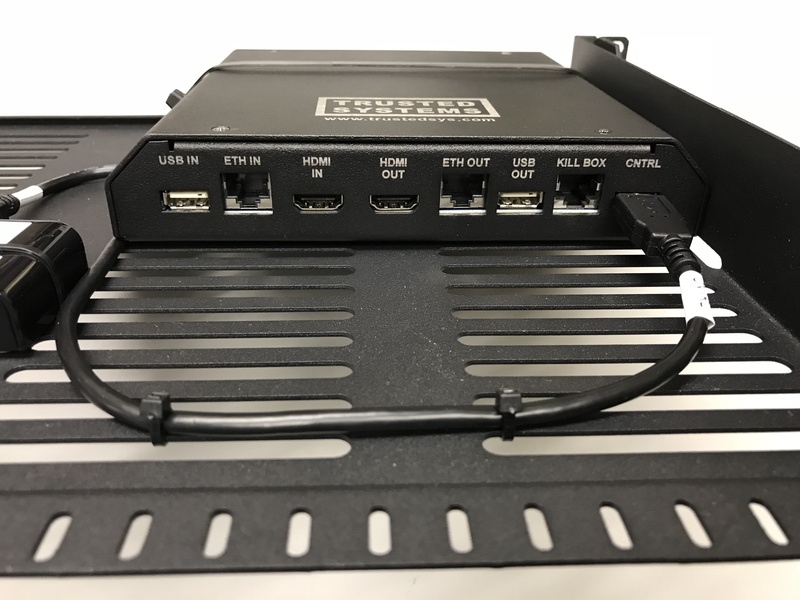 It incorporates locally controlled two factor authentication (CAC & PIN) to connect the desktop KVM and Ethernet devices to the network. Once authorized, normal network logon proceeds with no interference with network traffic. 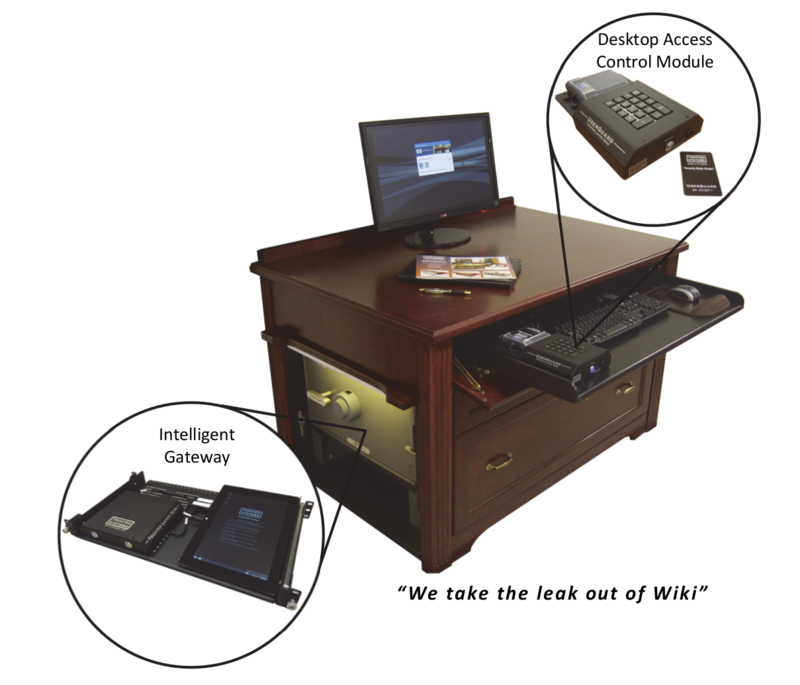 Desktop Access Control Module – Includes a Common Access Card (CAC) reader, PIN pad, kill button and a motion sensor activated disconnect. 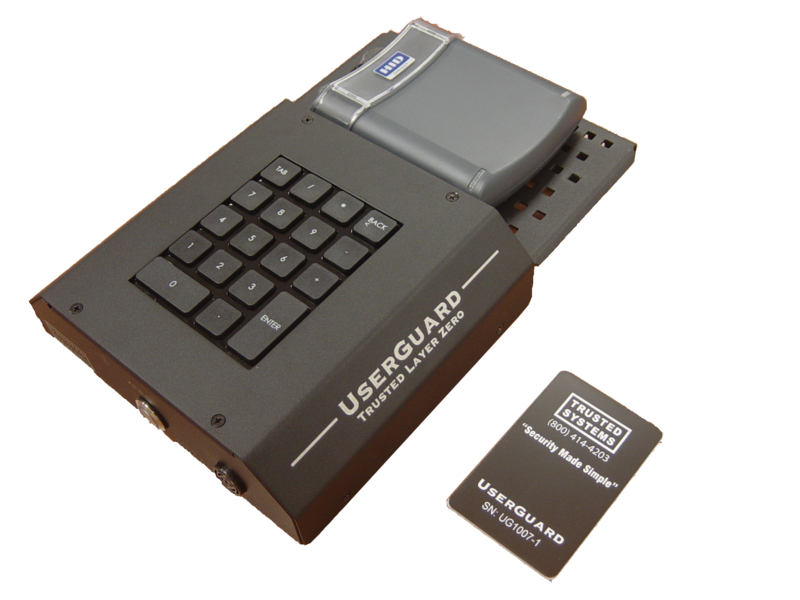 UserGuard satisfies the needs of both the IA/COMSEC teams, as well as, the users. 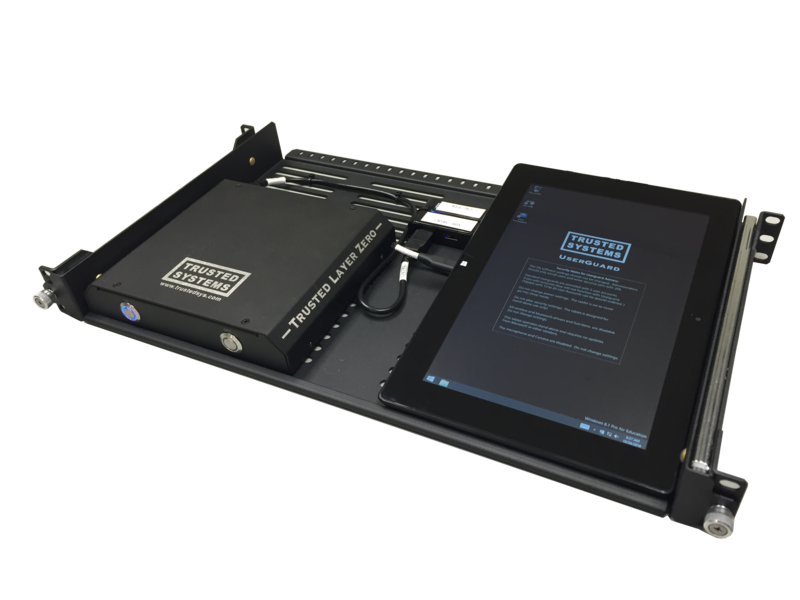 The users are no longer required to open the safe or access the hardware, which simplifies their responsibilities, and the IA/COMSEC teams know that because the users are securely withheld from access to the network devices, they can rest easy with the understanding that hardware tampering and malicious data acquisition is a thing of the past. 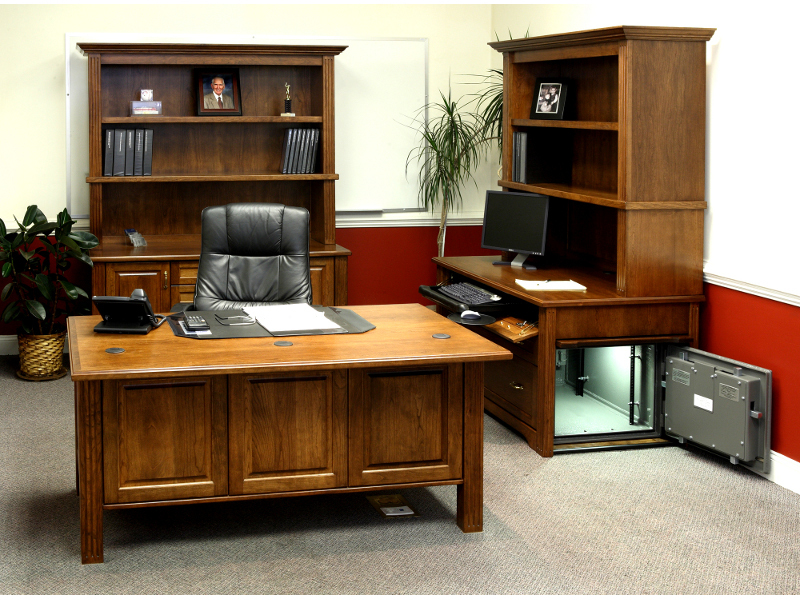 Sensitive Compartmented Information Facilities (SCIFs) and Controlled Access Areas (CAAs) only protect physical spaces. IT/cyber security only protects the network. These methods of security are primarily reactive. 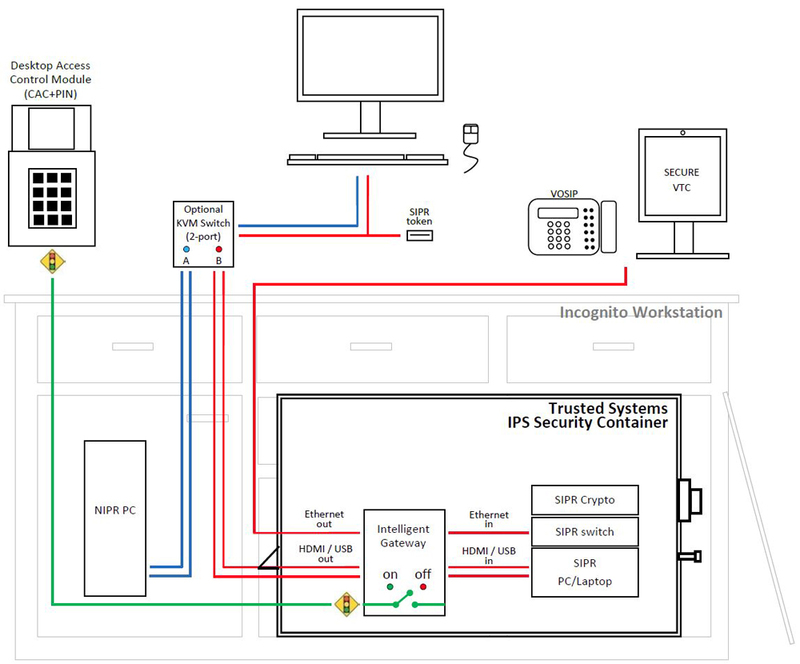 By comparison, UserGuard, when integrated with an IPS Container, proactively defends the network equipment and the access point, minimizes human intervention, and simplifies security. Additional benefits are the rapid integration of advancing technology and a nimble response to emerging threats, all with the objective of keeping the insider out.